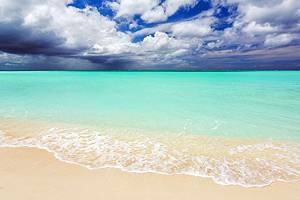 The world's third largest coral reef system plus some fine tropical beaches attract travelers to Turks and Caicos Islands. 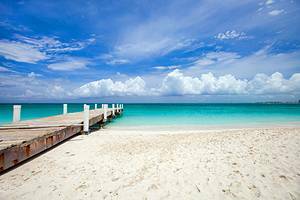 Some of the best snorkeling and diving in the Caribbean can be found around Turks and Caicos Islands. Whale watching is a superior pastime with the only known breeding grounds for North Atlantic humpbacks around Grand Turk.